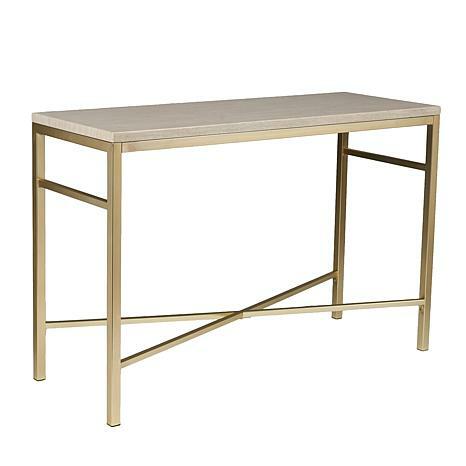 Instantly create a cultivated look in your living room or entryway with this faux stone-veneered console table. 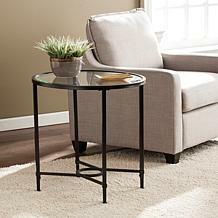 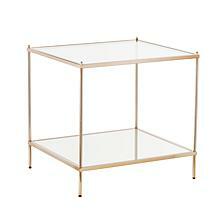 Open frame in soft, matte brass complements the polished faux travertine surface for a glamorously elegant appearance. 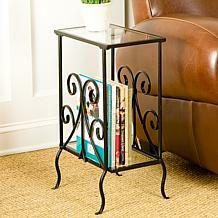 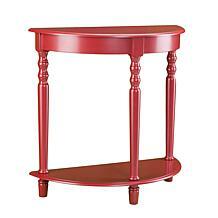 This classy console table brings high-fashion allure to contemporary and transitional décor.